Security is a simple concept, but providing it is often not a straightforward matter. In fact, the process of sourcing, ordering, installing and using proper security measures can be quite extensive, requiring a fair amount of planning and some critical judgment. If you’re in charge of a commercial or industrial property and want to provide high-quality security, there are numerous considerations you’ll have to deal with, from alarms and cameras to simple things like doors and fences. Don’t assume that less flashy measures are less important to the integrity of your building, though—in fact, the simplest solutions are often the most effective, which is why they require the most attention in many cases. 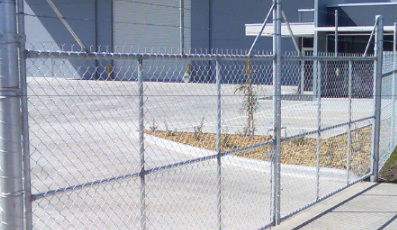 Those of you who care deeply about providing proper security for your facilities will want to take the time to invest in reliable metal fencing. Notting Hill is full of companies that can benefit from high quality steel security fences, but not everybody knows what makes a capable fence or how to find a good deal on one. Fortunately it’s possible to find high quality products and the right companies to install them. You’ll just have to pay close attention to the options available near you so that you can end up with the kind of industrial security fencing your Notting Hill facility can really benefit from using. One of the first things you should look for in a fence installer is their level of experience. It might be easy to dismiss fence installation as a routine task that doesn’t require tremendous skill, but if you were to take this view, then you would be wrong. Installing metal fencing is a complicated process that requires focus and attention to detail so that the finished product will be free from weaknesses and in fact, keep out unwanted visitors. To make sure that your fence will always do its job properly, hire a company with sufficient experience to put it up so that you can be sure they’ll do a good job. 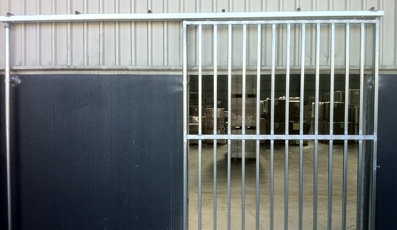 Take Guardian Fencing, for example, a company established in 1994. Guardian Fencing provides Notting Hill with steel fencing that many commercial and industrial businesses in the area trust for its quality, and uses highly professional installers for every job. 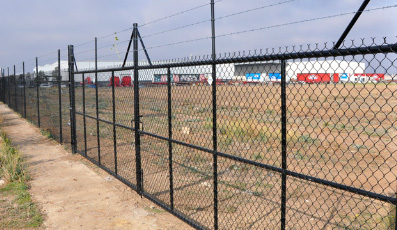 The company’s philosophy is to treat each client as an individual so that they can focus on the right way to install security fences on each unique property. The result is a more tailored solution that proves very efficient at keeping critical areas inaccessible to all but those who need to enter them. Every business has a choice when it comes to security fencing, and each one will have to look at several factors to make a decision that ensures satisfaction. Consider your resources, the amount of risk you can allow at your facility, and the amount of time you can afford to spend having your fence installed. For more information on steel fencing, click contact us or call Guardian Fencing on 03 9530 9033 with your questions.